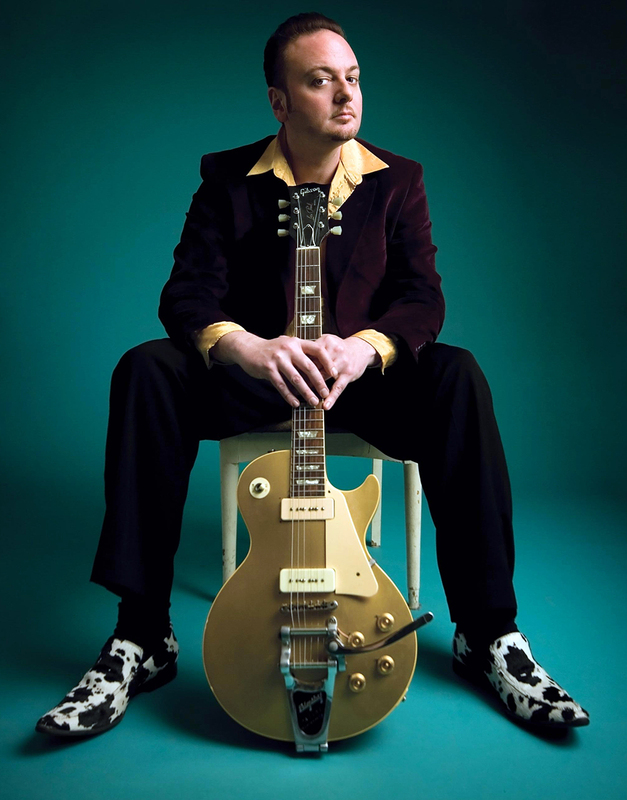 As one of Canada’s hardest working and most prolific blues guitar virtuosos, David Gogo has amassed a worldwide fanbase and an impressive list of accomplishments. He has earned four JUNO nominations, the 2012 Western Canadian Music Award for Blues Recording of the Year, the CBC Saturday Night Blues’ Great Canadian Blues Award for a lifetime contribution to the blues in Canada, and has twice been named Maple Blues Guitarist of the Year. He has played on stage with Johnny Winter, Otis Rush, Albert Collins and Bo Diddley and has opened for George Thorogood, ZZ Top, The Tragicially Hip, Buddy Guy, Little Feat and Jimmy Vaughan. In March 2013, he performed as the supporting act for blues legend B.B. King for the third time in his career, this time at the Port Theatre in Gogo’s hometown of Nanaimo, BC. Gogo has released thirteen albums to date and has been a guest on a number of recordings. He has composed music for television and major motion pictures and his songs have been performed and recorded by musicians worldwide. He continues to tour relentlessly, performing across North America and Europe in venues ranging from small blues bars to massive blues festivals. Whether he’s showcasing his blistering guitar licks and soulful vocals during an electric performance or drawing the crowd in with his humour and down-to-earth personality during an acoustic show, audiences everywhere can attest to Gogo’s outstanding talent. Before writing and recording his latest album, Come On Down, Gogo took a pilgrimage along the Blues Trail starting in Memphis and traveling through Mississippi, Arkansas and Alabama. Highlights of his southern adventure included sitting in with local musicians at The Shack Up Inn, Ground Zero, and Red’s in Clarksdale, Mississippi. He appeared as a guest on Sonny Payne’s renowned King Biscuit Radio Hour, and toured the legendary Fame, Sun, Stax, and Willie Mitchell’s Royal Studios. Gogo also traveled to towns mentioned in Robert Johnson songs, poured bourbon on Johnson’s grave, and even went down to Rosedale with his rider by his side, as those famousCrossroads lyrics proclaim. Inspired by his journey through the birthplace of the blues, Gogo wrote six original tunes and combined them with six reinvented yet classic covers to create a new album that not only honours traditional blues but also gets you dancing with some good old gritty rock and roll. Come On Down takes you to a place where Robert Johnson meets the Rolling Stones and Fleetwood Mac meets Ray Charles. It’s a wild ride that Gogo navigates with ease, ingenuity and style.